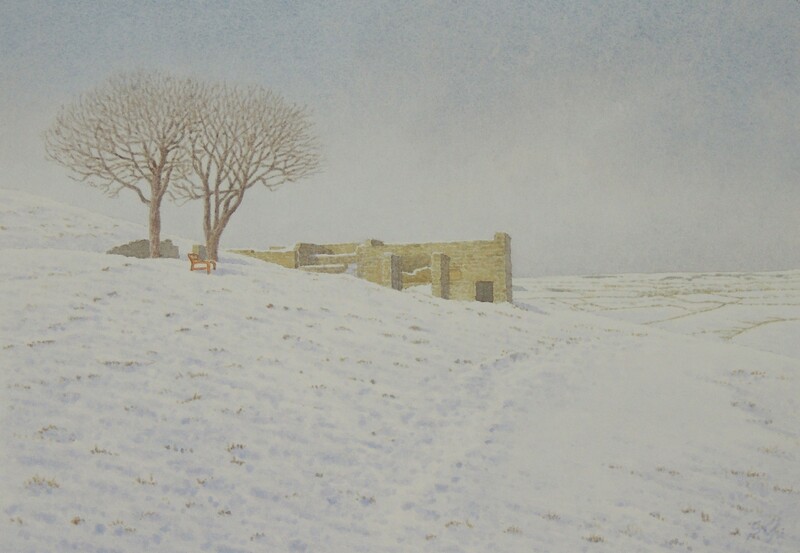 On the 22nd of February in 1986, after a fall of snow, I thought of seeing snowy Top Withens and drove to Haworth. I then walked along the path leading to Top Withens where I had walked many times. It was cold but sometimes sunny, and I could enjoy the splendid view of the snowy moors and hills on the way to Top Withens. 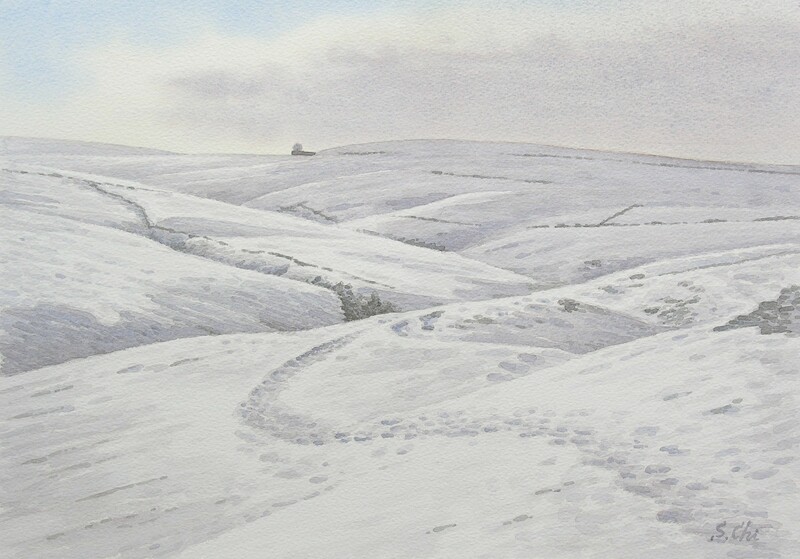 The snowy Haworth Moor was the very scene as Emily described in "Wuthering Heights". At snowy Top Withens, there was nobody except me and a couple of sheep. I knew later that the snowy moor was very dangerous. When the weather changes all of a sudden, it becomes misty or snow-stormy, the moor turns to be entirely the grey world with no landmark. I may well hear Heathcliff's shouting like following. I must confess now that my behaviour was very reckless. I wish I could have had another experience of Haworth Moor while staying at Haworth: The sormy night. It must be very fearful indeed, but I still regret missing the chance to do that.